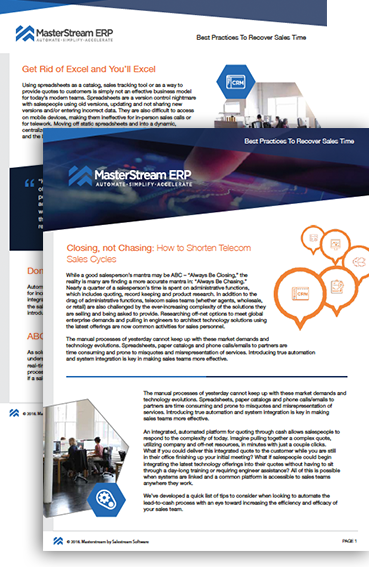 In order to sell in today’s fast, integrated telecom solutions, sales team require (and deserve) a modern platform. Learn the best practices to recover sales time with our free PDF download. Complete the form.